Relax in a bach environment with a retro feel on the edge of Lake Taupo. Unit provides a comfortable stay with great views of the lake and mountains. reading your favourite book. A great destination to unwind. While unit sleeps 6, it is available for a maximum of 4 people. Hits the spot for a comfortable and relaxed stay in a great location. Prompt and friendly communications. Thank you would love to return. Great tenants who are very welcome to return. Prompt communications and payment. Highly recommended to other owners. Fantastic location in central Taupo, right across the road from the Lake. 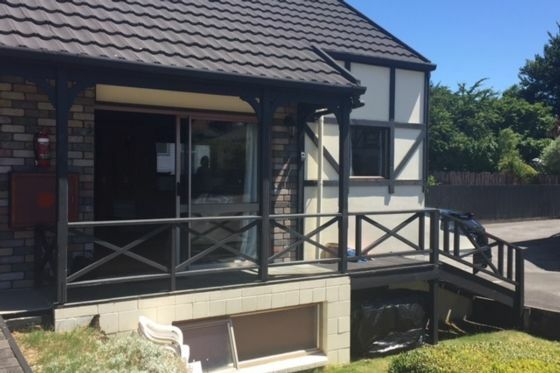 Fantastic location in central Taupo, right across the road from the Lake. Good parking and view. Decor a bit dated but very cute. Frypan and some crockery not clean but came up well after a scrub! Great location. It's exactly what we needed. Everything we needed.